Lisa Curtis is the Founder & CEO of Kuli Kuli, the first brand to introduce the green superfood moringa to the US market. Lisa founded Kuli Kuli after working with moringa as a Peace Corps Volunteer. Lisa has grown Kuli Kuli from a Peace Corps dream into a multi-million dollar social enterprise that sells delicious moringa products in over 6,000 stores. Lisa and Kuli Kuli have been featured in The New York Times, The Wall Street Journal, Forbes and hundreds of other publications. Prior to Kuli Kuli, Lisa served as the Communications Director at Mosaic where she managed a team of six to grow the company from zero to over $5M invested in solar through Mosaic’s online marketplace. Previously, Lisa wrote political briefings for President Obama in the White House, served as a United Nations Environment Programme Youth Advisor and worked at an impact investment firm in India. She writes for a variety of outlets including Forbes and The Huffington Post. Lisa has been recognized as a StartingBloc Fellow, a Wild Gift Better World Entrepreneur, an Ashoka Emerging Innovator and a Udall Scholar. 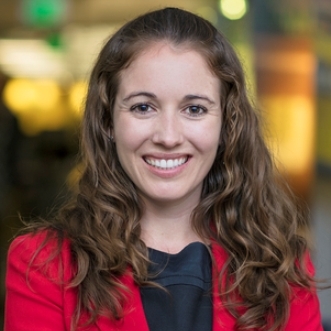 She was honored as a 30 Under 30 Leader by Forbes, GreenBiz and the University of California. She was also named to the Forbes 30 Under 30 “Top of the Class” for Social Entrepreneurship. Lisa is a frequent speaker at social impact and natural food conferences on topics such as supply chain transparency, building buzz, and fundraising and millennial entrepreneurship.